OPEN EVERY WEEkND IN OCTOBER! 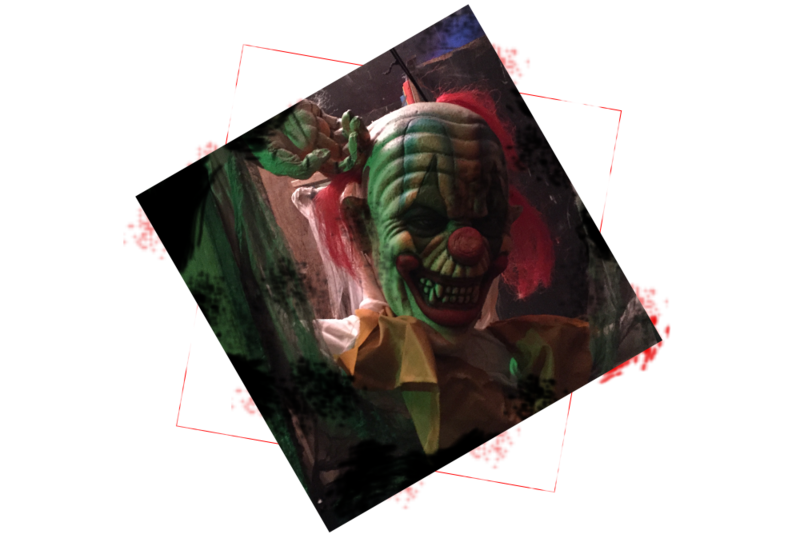 Brokenharts Asylum is a high intense, in your face, scream for your life haunted attraction that is self guided! That's right it's a self guided tour which will leave no one to protect you from the fear and scares you will face. This year every turn, smell and flash will leave you running for the exit door. We are located at the Luzerne County Fairgrounds off 118. Entrance through gate B only and be sure to look for the haunted hearse off 118. See you soon if you dare!!! Screamin Demons Haunted Attractions is a newly formed company. We are located in Pennsylvania. We have been building and designing haunts for years. Now we have decided to take the next step and produce one of our own. We have seen what works and what does not. Now we have put it all together and produced one of the most exciting and scary haunts you will ever see. What if your darkest fears were brought to life? How would you react? Would you be scared? Would you be in pain? Maybe you wouldn't feel anything at all. These questions plagued the mind of Brokenharts Asylum's head surgeon, Dr. Vanburen. No one understood Vanburen's fascination with people's fears. He began to do inhumane experiments on each of his patients so he could find the answers to his questions. Slowly, the good doctor began to go mad. His experiments became worse and worse. No one could get in Dr. Vanburen's way, and if they did, he simply took care of them. Soon, he had the entire asylum all to himself and his crazy "experiments". Still to this day he is looking for the answers to his questions and he won't stop until he gets them. The only question left is...will you be there to help him? Now here is your part in our journey. You will see the asylumthroughthe mindof his patients. This is where Doctor Vanburen performedhis many "treatments". You will guide yourself through the dark hallways of the asylum. Around every corner is another hideous "treatment" room for you to see and even be part of. Watch out, for it is said that patients still roam the halls of this deserted place. Some alive and some...DEAD! Maybe the good doctor may help treat some of your hidden fears. What are you afraid of?